Paul Monaghan and Chris Mooney decided to swap the mud for the track on Sunday January 7th for the GAA Miler Meeting incorporating the Scottish National 3000m Championships. Both had been drawn in the 2nd fastest veterans heat with top Glenparker Stephen Trainer setting the target pace at 09:00. As expected the race started fast around the 200m track with Paul and Chris quite happy to sit off the two runners who went with the target pace. After running the first km in 3:10 Chris and Paul were sitting in 3rd and 6th position respectively and managed to open up a good gap between a pack containing Inverclyde runner David Tamburini. With around 6 laps to go Chris had started to move away from the chasing pack and made a move for 2nd position as Malcolm Lang (Lothian) had started to drop back from the leading group. Paul continued to hold onto 6th position with a few runners beginning to challenge moving into the final few laps. With two laps to go Chris mounted a challenge and finished strongly to take 2nd place and the v35 silver medal in a personal best time of 09:24. Paul continued to finish strong in a tightly bunched group to take 7th place in a pb of 09:40, just missing out on a v45 bronze medal by 5 secs. This was a fantastic time by Paul who is positive signs of his speed returning in time for the veteran’s relays later this month. 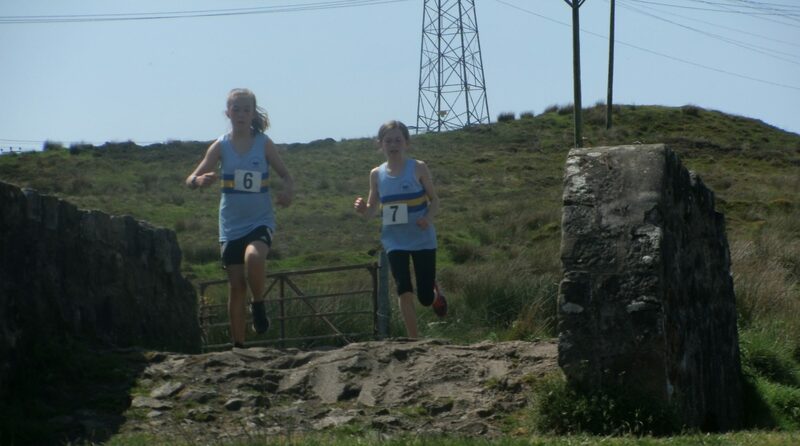 Stephen Trainer was selected to represent the West District at this years Inter District Cross Country in Edinburgh. The course of just over 5 miles takes the runners around the grass on Holyrood Park and up into the foot of Arthur’s Seat. The West team found themselves just outside the medals in 4th overall position with Stephen narrowly missing out on being one of the 6 counters by less than 10 seconds. This entry was posted in Uncategorized on January 21, 2018 by greenockglenparkharriers.